Fill out the form to download the concluded webinar to watch on demand. 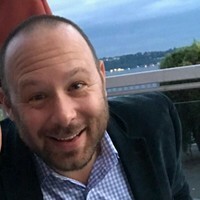 Dan is a digital media expert, with 16+ years of experience in the industry, mainly in the Operations Management, Sales, and Publisher Development roles. Dan has worked for great companies like: Evolve Media (Gorilla Nation Media), Adconion Media Group (Acquired by Singtel/Amobee), Conversant (Acquired by Alliance Data), and SpotX (Acquired by RTL Group). Dan is the co-founder and CEO of Bold Screen Media, a data driven marketplace driving performance for brands and agencies.